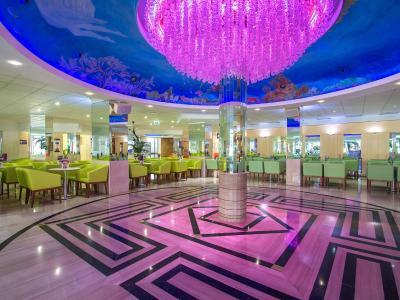 Lock in a great price for Hotel Servigroup Calypso – rated 8.9 by recent guests! 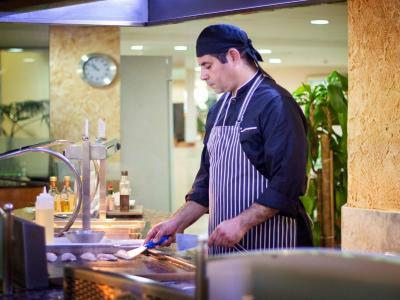 Great location great food ..Brilliant value for money I have stayed there a few time and would diffnatley use the hotel again! 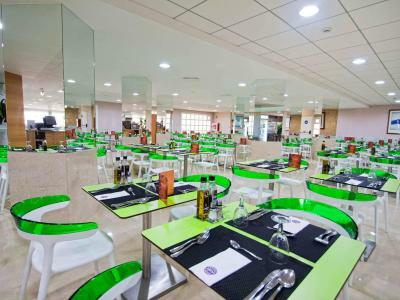 Lovely clean hotel ... lovely food... great location ! Hotel Servigroup Calypso This rating is a reflection of how the property compares to the industry standard when it comes to price, facilities and services available. It's based on a self-evaluation by the property. Use this rating to help choose your stay! 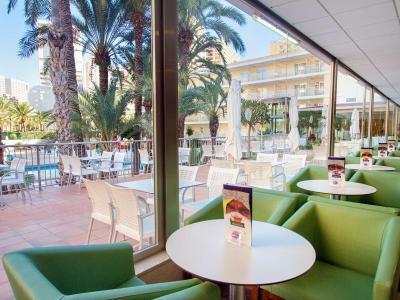 Set just 1,000 feet from Levante Beach in Benidorm, Hotel Servigroup Calypso offers a large outdoor pool, with a garden, sun terrace and loungers. Free Wi-Fi is available throughout the hotel. Rooms are tastefully decorated in pastel colors and come with a private terrace. They also include a satellite flat-screen TV, a mini-bar and private bathroom with hairdryer. Air conditioning is available in summer. The Servigroup Calypso offers nighttime activities and an entertainment program in summer months. 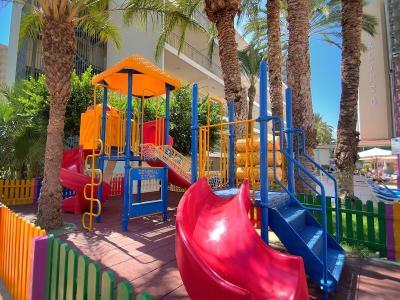 There is a games room and a play area for children. 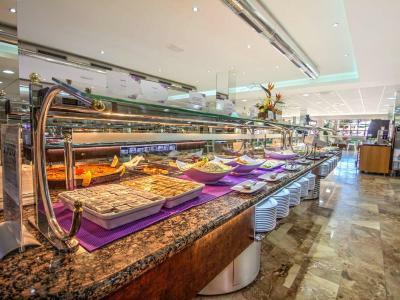 The hotel has a buffet restaurant which features show cooking and serves international cuisine. Celiac menus are available upon request. 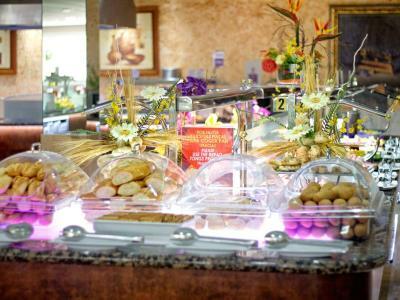 The poolside Gaudí Bar serves drinks and light meals during the summer months. 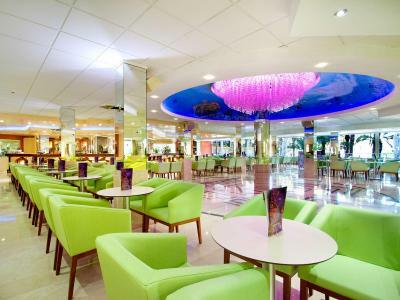 A lounge bar can be found in the lobby. 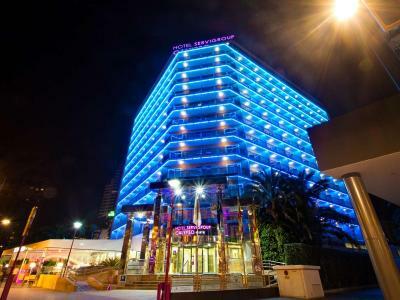 Friendly staff at the hotel are happy to provide information on Benidorm and its various attractions. 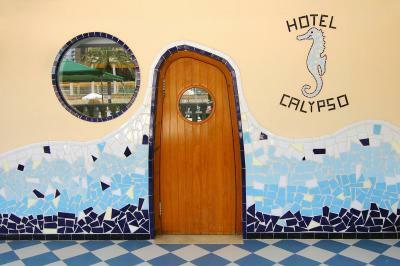 They can also recommend bars and restaurants, many of which are within a 5-minute walk of Calypso. 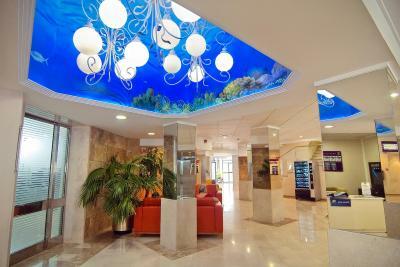 When would you like to stay at Hotel Servigroup Calypso? Decorated in pastel colors, this room offers a private terrace, free Wi-Fi, flat-screen satellite TV, hairdryer and a mini-bar. Decorated in pastel colors, this room features a private terrace, free Wi-Fi, flat-screen satellite TV, hairdryer and a minibar. The room price includes the supplement for the child's extra bed. The room price includes the supplement for the third adult's extra bed. 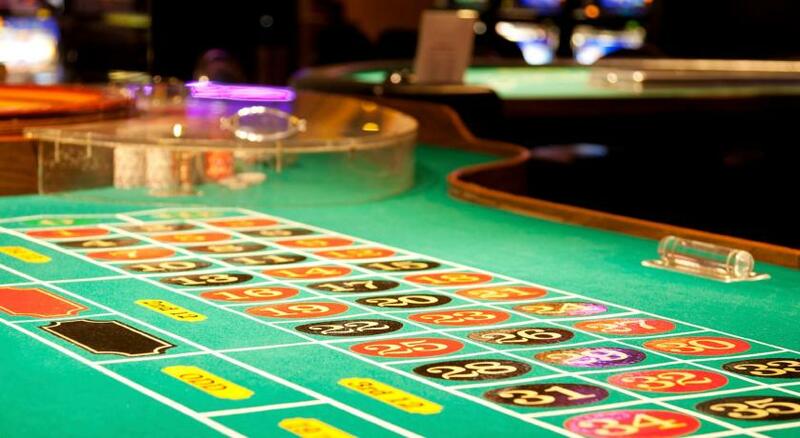 House Rules Hotel Servigroup Calypso takes special requests – add in the next step! Hotel Servigroup Calypso accepts these cards and reserves the right to temporarily hold an amount prior to arrival. I would have like to able to make toast/toasties etc with tea at lunch time, this option was not available. Although we had no children in our party this time, we would have struggled to feed children without various options for children, chicken nuggets, more burgers, chicken legs etc. 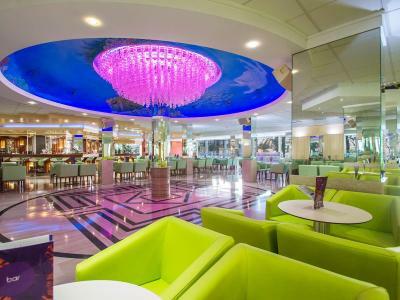 It would have been nice to have a sandwich bar at lunch time also with sliced bread and baggettes A suggestion for the pool area would be for small tables to be available to use beside the sunbeds. More evening entertainment variety, ballroom and latin dancing too much everynight from 8.30-12.30. 1 hour of general dancing music could be welcomed. No daytime entertainment when weather was not so good. I have found that I can't seem to booked 3 nights ..They only seem to want people to book 5 nights minimum...I want to take my daughter's next year for a weekend e.g. Thursday to Sunday?? Pool was having a refurbishment,so sitting by pool was noisy and we were not informed of this. Staff lovely,spotless hotel. Food very good. The hair dryer was in the bathroom and would have preferred it in the room so it didn’t tie up the bathroom. Didn’t stay long enough . The annex the rooms were small not like the images in the advertisements a lot smaller.